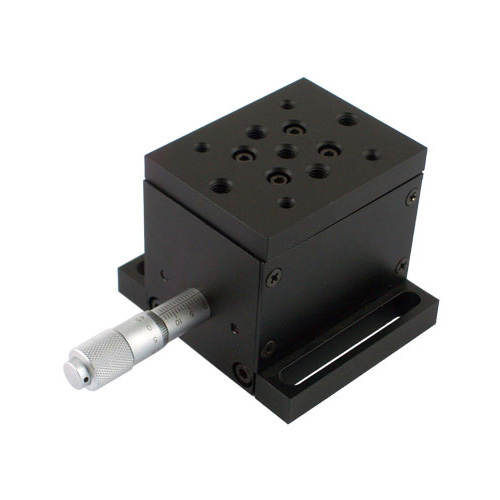 High precision crossed roller guides. 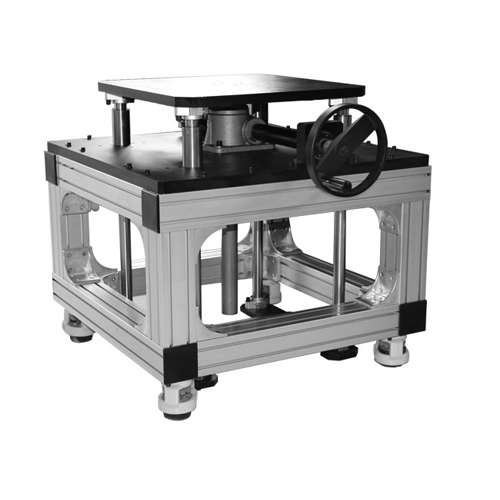 Gear and rack drive, high load capacity. 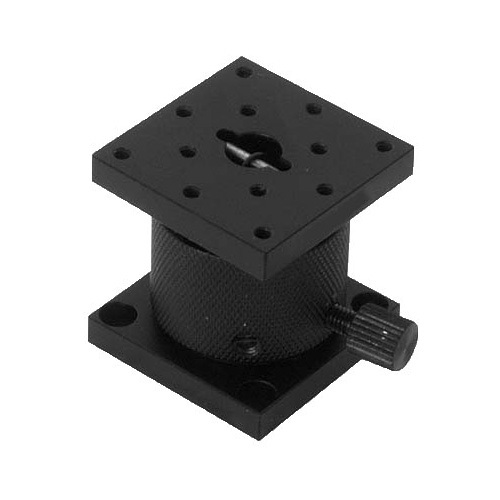 Vernier gauge with 0.01mm resolution. 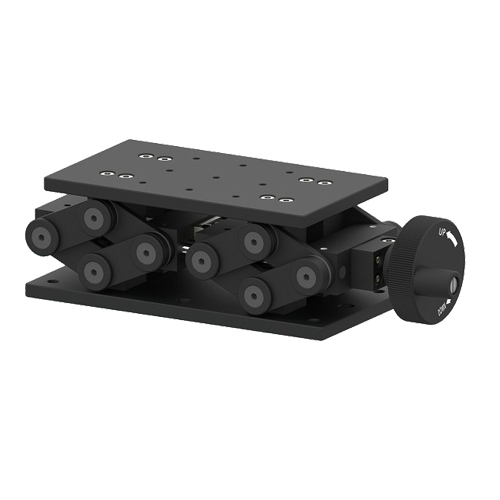 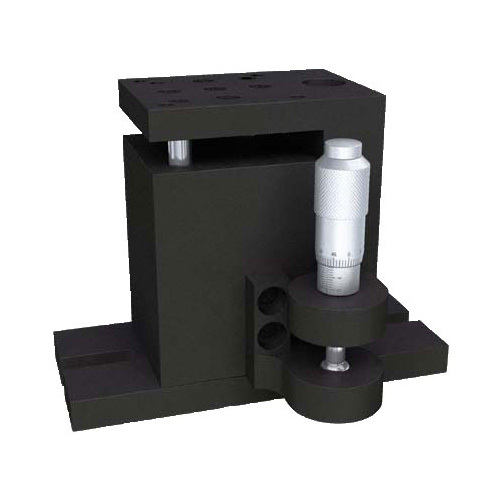 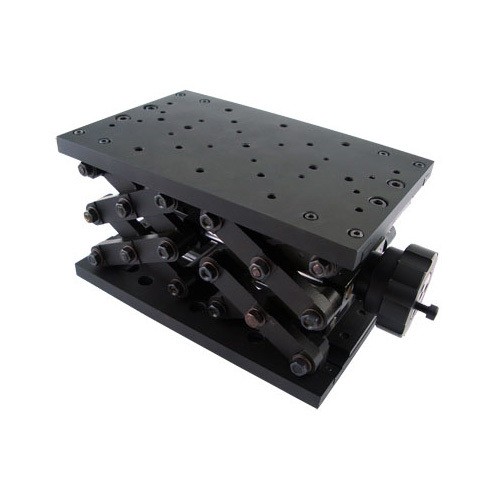 The 7MAJ25 vertical translation stage uses precision crossed roller guides, it provides high accuracy and load capacity of motion. 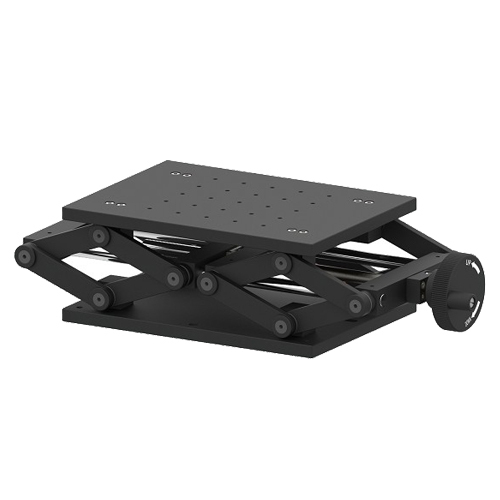 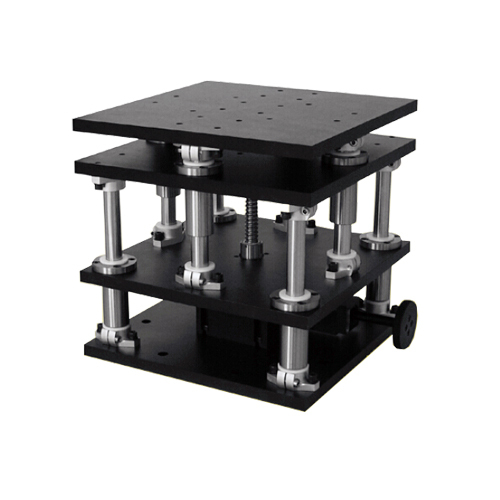 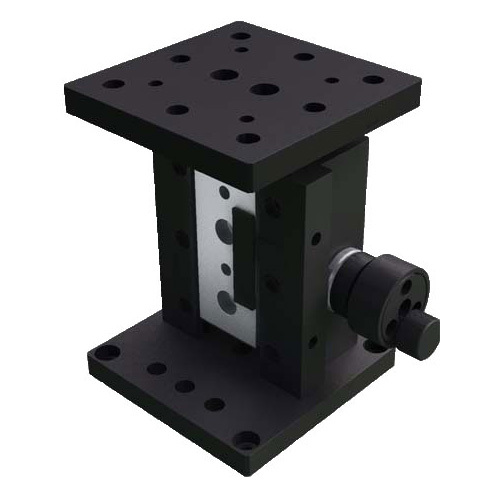 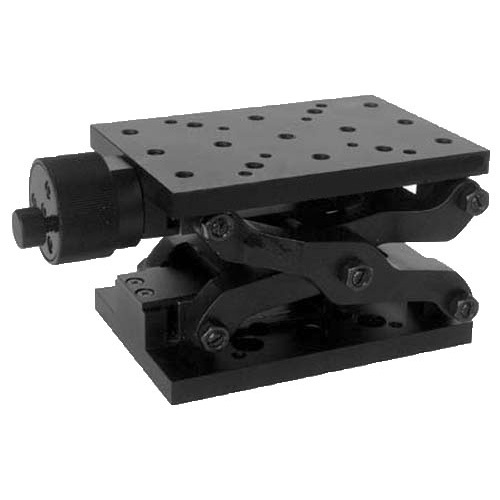 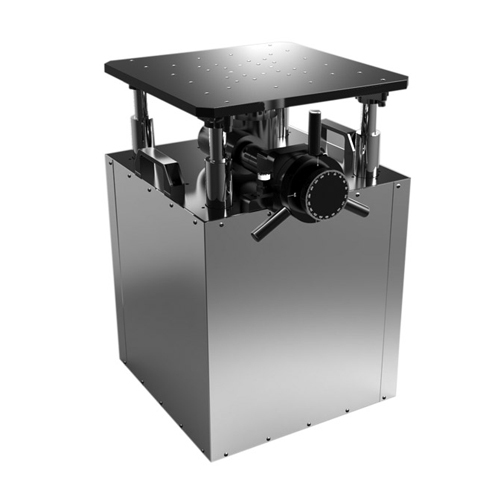 The vertical linear stage uses gear and rack drive, it ensures steady and comfortable motion. 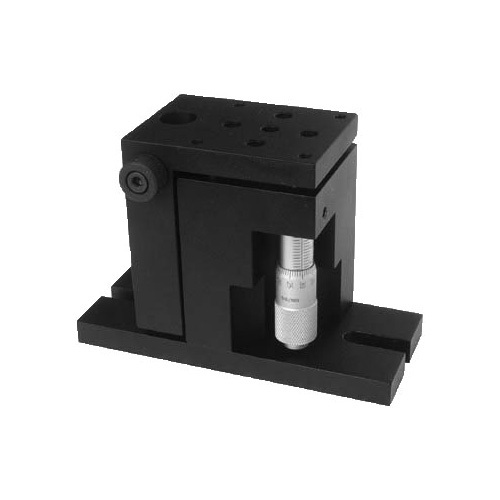 The 0.01mm resolution can be read by the vernier gauge. 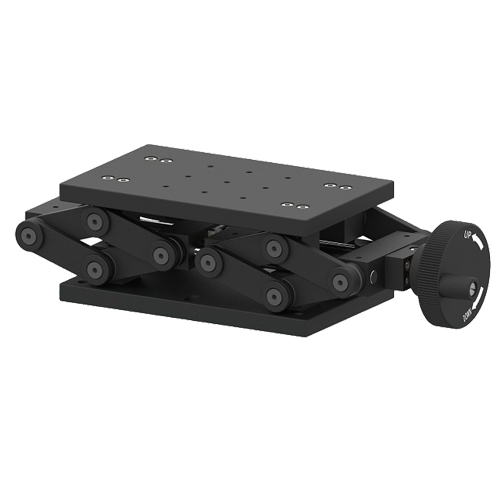 The hand wheel has lock screw, it can lock the position of platform.